Here at Travel Bar, our city boasts upwards of 2,000 years of history. So what would the premier hen and stag company want to do? Look at the history of the stag party, of course! 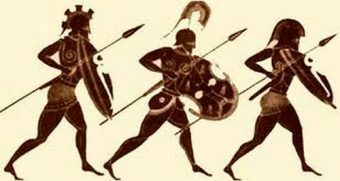 Can you believe that the first recorded stag do was held in Sparta? It was in the fifth century BC. Friends toasted their comrade at a great dinner held on the eve of his departure to marital bliss. In fact, they kind of treated it like…going off to war. The international history of the word itself has its own charm. The word “stag party” came to refer to a party of young men. In America, it’s referred to as the “bachelor party”, and in Australia, it’s a “buck party”. But the basic idea is the same: a party of lads. Over time, the stag party developed from the night before the wedding to the weekend before the wedding. Nowadays, stag events are usually a weekend away from home, be it inside the UK or in an exotic locale. In fact, the most popular stag destinations are places like Las Vegas in the States or Dublin, Prague, Budapest, or (you guessed it) Barcelona! In France, the stag party is referred to as “enterrement de vie de garcon“, which can be translated as “(the) burial of the life as a boy” or “funeral of the life as a bachelor”. Let me just say here that I hope that my funeral and my stag party are nothing alike. Similarly, Germans refer to the stag celebration as Junggesellenabschied, or “farewell to bachelorhood.” Astoundingly, most Germans can pronounce it. Speaking of international, it’s said that the name “hen party” originated where female prenuptual parties originate: Africa and the east. Apparently, “hen” is a shortening of “henna”, which brides would customarily paint on themselves on their wedding day. While that story does seem a little plausible, I don’t buy it. It is far more likely that the term originated from referring to a party of women in general as a “hen party” in the 17th century. Hen and stag parties took off in the western world in the 20th century, where brides and grooms to be celebrated their last nights of freedom with ever more raucous and memorable celebrations. In fact, this led to the birth of Travel Bar! Now’s your chance to join the tradition–you can plan your own stag or hen party with us. If you’re interested in learning more about our celebration packages, click here.